The temperature is starting to be at a very comfortable level pretty much all the time, and when my car's meter was showing +20° Celsius yesterday, I thought I'd break out my S&W slippers for the first time. 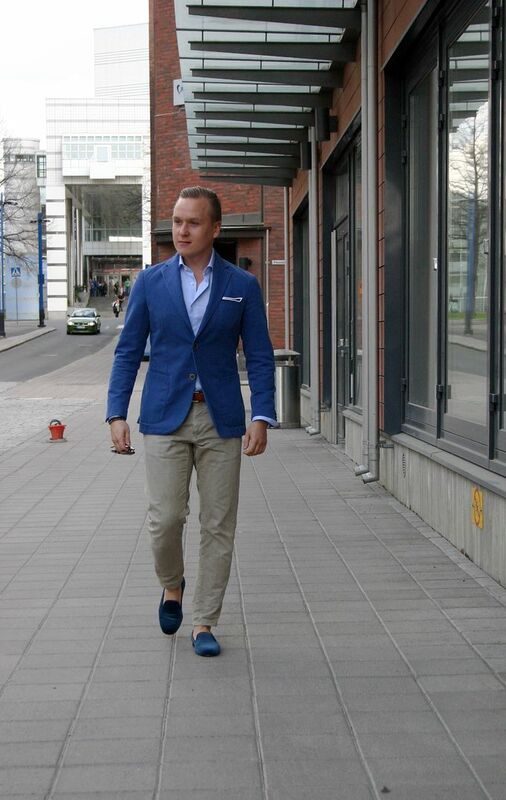 The jacket from LBM 1911, shirt from SuitSupply, pocket square from Kent Wang, belt from Berg & Berg, trousers from Incotex Red and velvet slippers from Stubbs & Wootton. 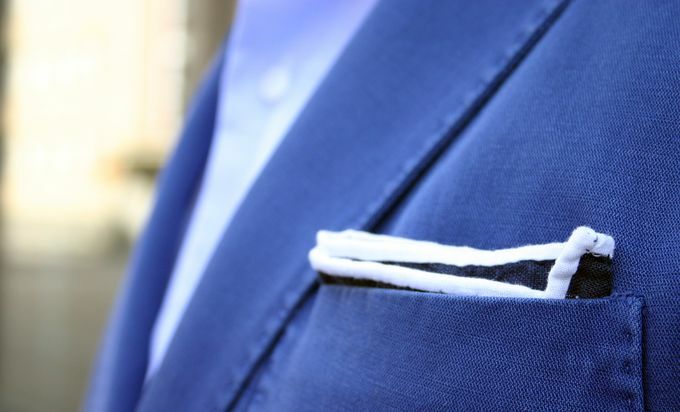 For a combination like this I wouldn't like to use a silk pocket square, but something that works better in a more casual setting. Simple cotton and linen squares usually do the job, like the navy with contrast border linen square here. 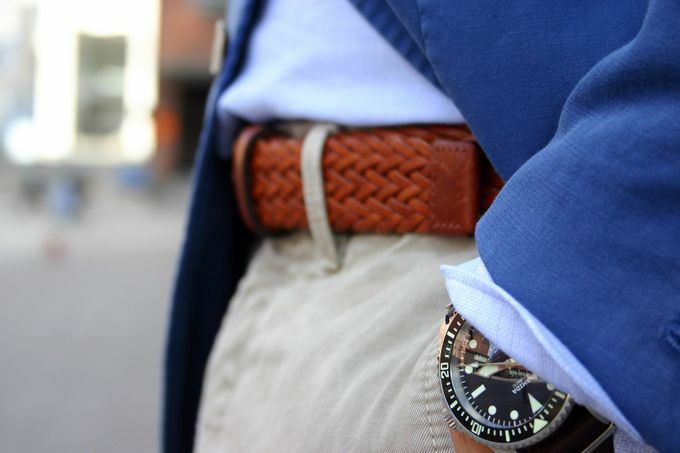 Armida A2 500 on a NATO strap and a Berg & Berg woven leather belt.